Book Review Son By Christopher Anderson Reviewed by Tom Leininger Having a son and being a son are two different things. 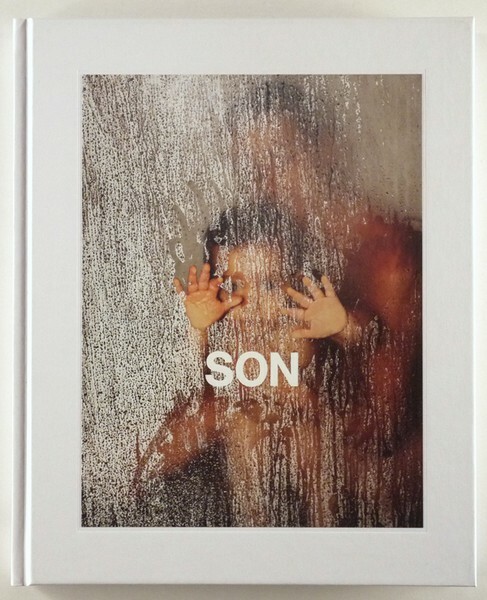 Christopher Anderson wades into these murky familial waters with his book Son. The pictures are about relationships, complex, loving, strained and unknown. Through pictures of his wife and son, and his father fighting illness, Anderson creates what he describes visual declarations of love. Son. Photographs by Christopher Anderson. Kehrer Verlag, Heidelberg, 2013. Hardbound. 96 pp., 50 color illustrations, 7-3/4x9-1/2". Having a son and being a son are two different things. Christopher Anderson wades into these murky familial waters with his book Son. The pictures are about relationships, complex, loving, strained and unknown. Through pictures of his wife and son, and his father fighting illness, Anderson creates what he describes visual declarations of love. Anderson, one of his generation's most prolific and awarded documentary photographers, uses all of his talent on the quiet intimate moments of his life. In the afterward he writes: "Perhaps I hoped to understand something about myself by witnessing intimate moments of people that I did not know. My pictures were my connection to emotions that did not belong to me." He adds that these pictures are statements of love. That sentiment comes through like the warm sun does in a number of the photographs. He finds the quiet moments where the tilt of his wife's head makes the photograph. Her playfulness with a pacifier in her mouth. Holding their son to a window and shower to wave at Anderson. Both sides are looking through glass at each other. Looking through windows is recurring theme in the book. Son, by Christopher Anderson. Published by Kehrer Verlag, 2013. The problem all photographers face is the inherent disconnectedness of photography. No matter what, the camera is always a barrier, recording the actions of others. Yes the photographer is present, but detached. Anderson's ability to weave together personal interior moments with plaintive light drenched landscapes suggest the transition of a man trying to find his place in the new world he helped to create. Mixing interior and exterior pictures is becoming a common editing technique for photographers working within a narrative framework. In this book the emptiness punctuates the populated photographs. Here is a photographer who has made a career of covering action in different forms; the lack of action in these photographs helps Anderson stretch beyond pictures that could have been cliche. The book also touches on the complexities of being a son and watching your father deal with illness. Anderson has a hand in guiding his son while that control feels absent with his father. Son and father are defined in more than one way. More than anything, the book feels like a love poem to his wife. In one image she and their son are watching Anderson's father walk away from them on crutches. Anderson's past, present and future are all wrapped up into one poignant photograph -- one of the few made from a distance. Do men photograph to record and in a way, avoid dealing with changing reality? If that is true, how is it different from familial pictures made by women? There are not clear-cut sides or techniques used by either gender. The act of using a camera is always a way to disconnect from the messy present. Anderson is using photography to understand without having to use words. The lack of words in this book is a testament to that idea, leaving the reader room to fill in the blanks.